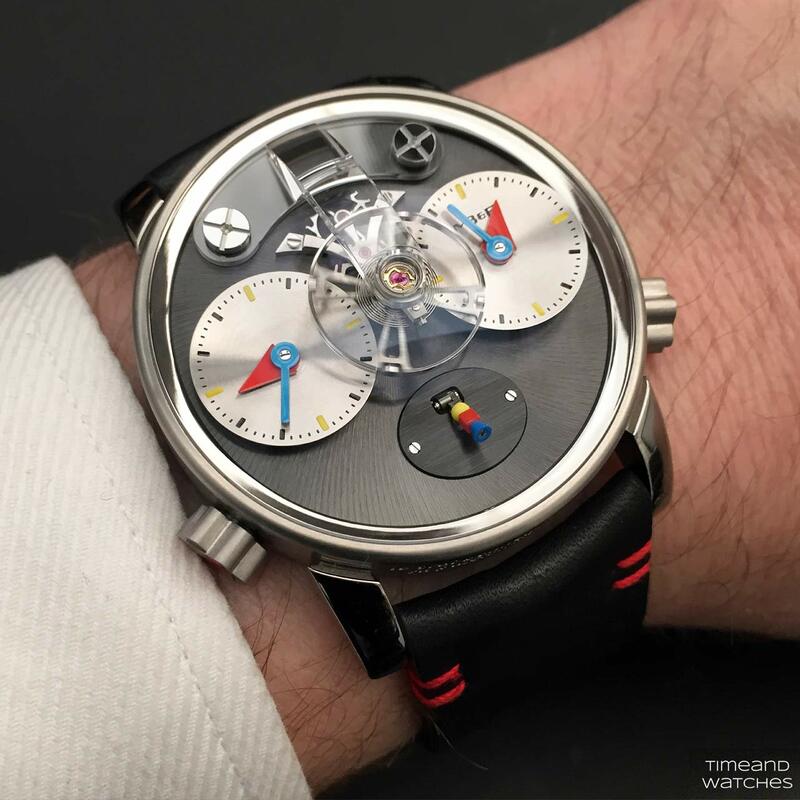 If you were following the watchmaking industry in the 1990s, you certainly remember when French designer Alain Silberstein introduced his extravagant and colourful timepieces somehow inspired by the German Bauhaus movement. 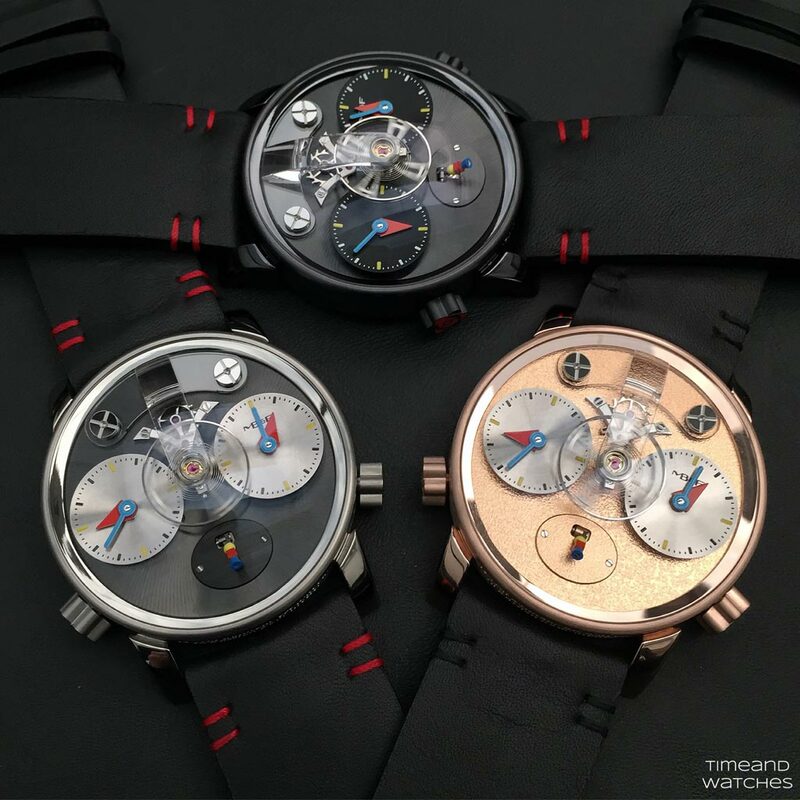 His watches were typically characterised by three bright colours (red, blue and yellow) and three main shapes (triangle, square and circle). After a first in 2009 for a 'Performance Art’'reinterpretation of the Horological Machine N. 2, MB&F has called Silberstein once again to create his own interpretation of the Legacy Machine N. 1. 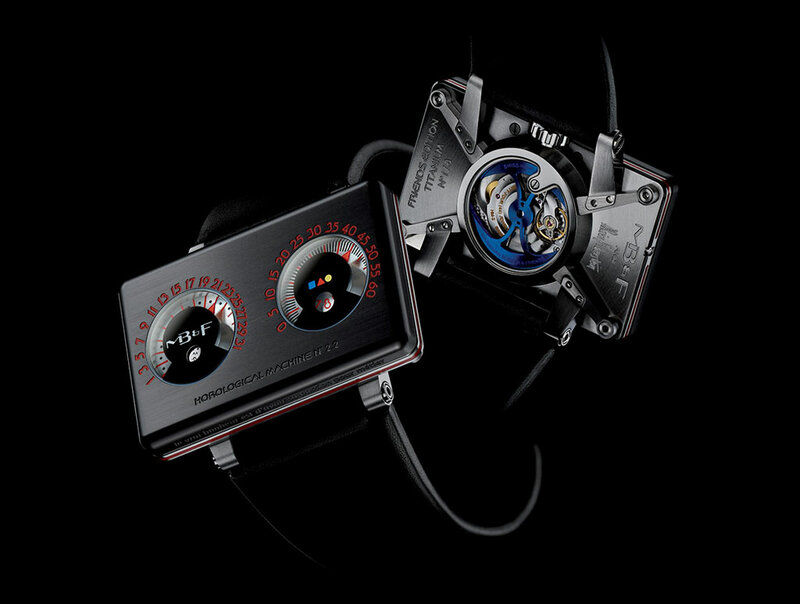 Available in three limited editions - each one issued in 12 pieces only - in black PVD-treated titanium, titanium or red gold, the MB&F LM1 Silberstein is immediately recognisable as a timepiece with the touch of Alain Silberstein. 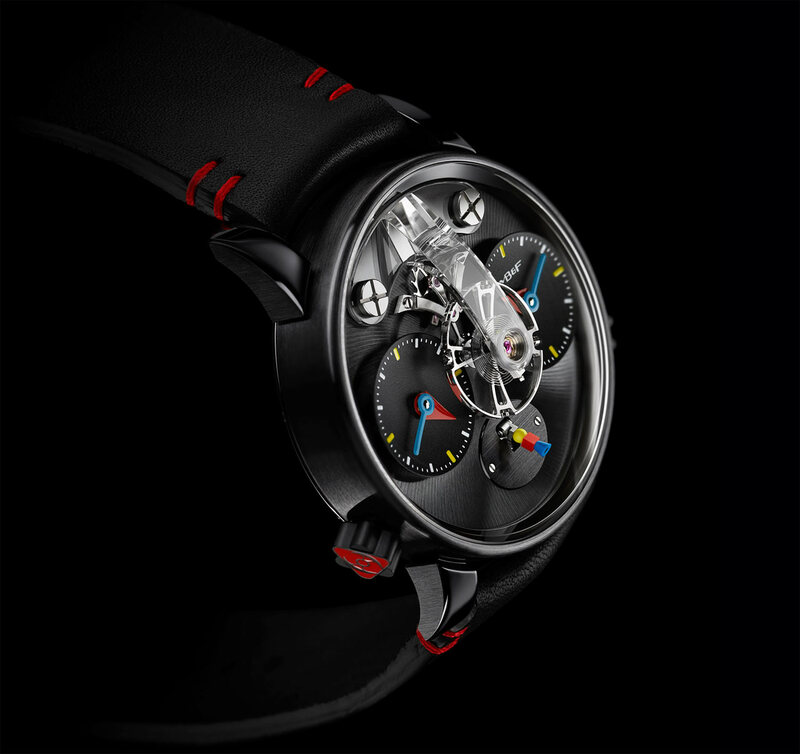 Together with the recurring signature colours and shapes, Silberstein plays with concave and convex elements. 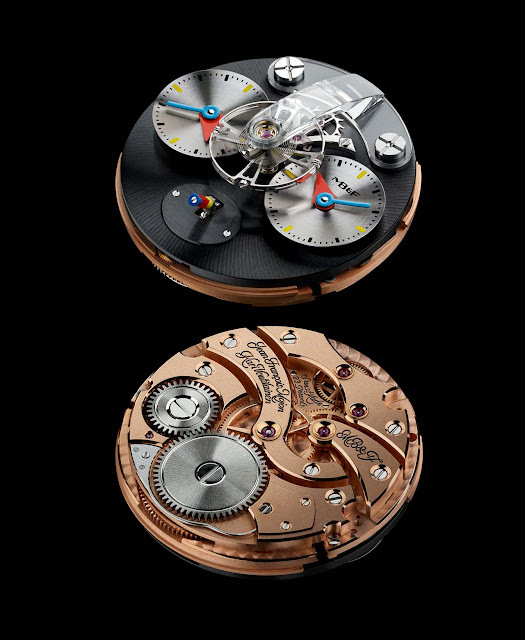 In Silberstein’s vision, the convex sapphire crystal dome and balance bridge offer protection from outside forces while, in contrast, the concave subdials attract and welcome the “eternal time” of the universe into the movement, where it is transformed and displayed as two completely independent time zones (differently from most dual time zone movements which only allow the hours to be independently adjusted, the Legacy Machine N. 1 allows both hours and minutes of each dial to be set to whatever time the user wishes). 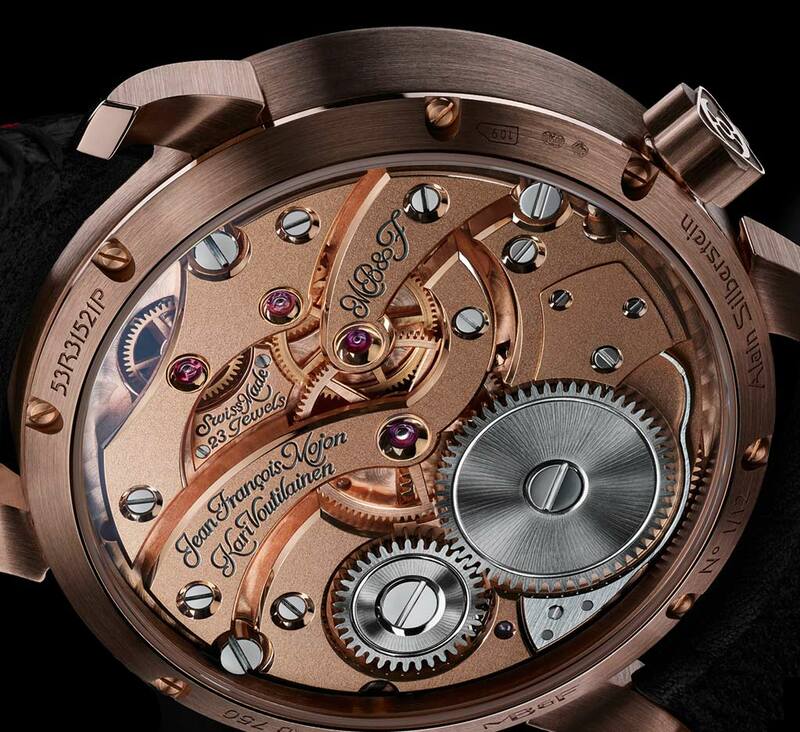 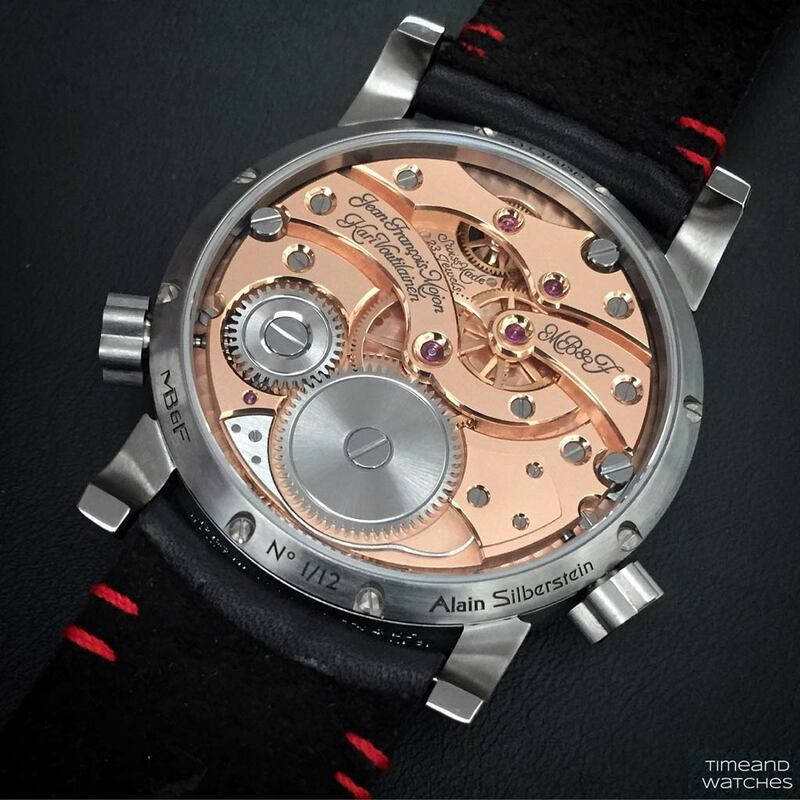 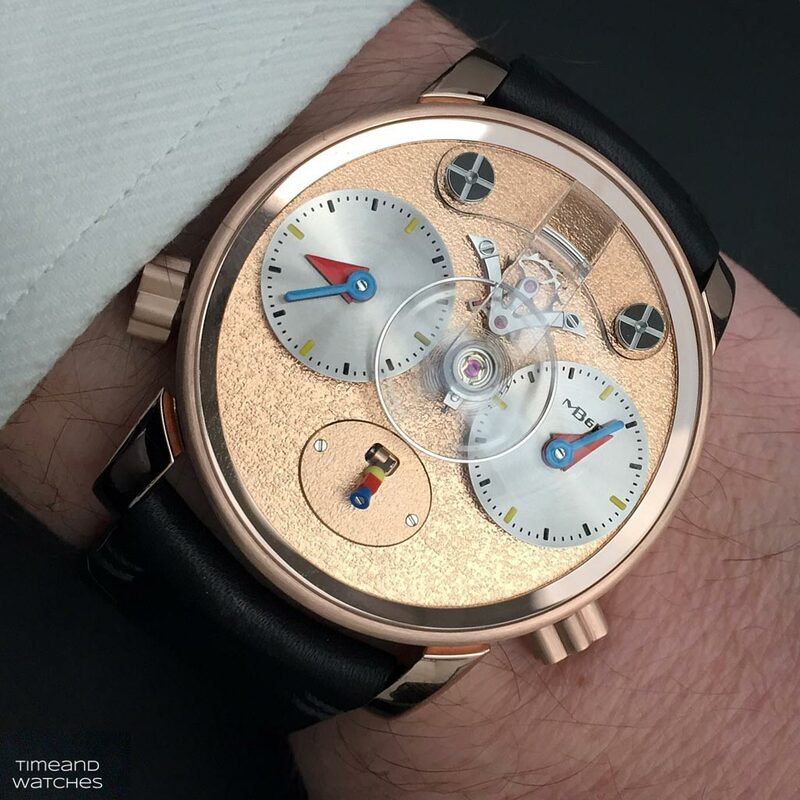 The hands are similarly concave so that they seamlessly complement the curvature of the dials. 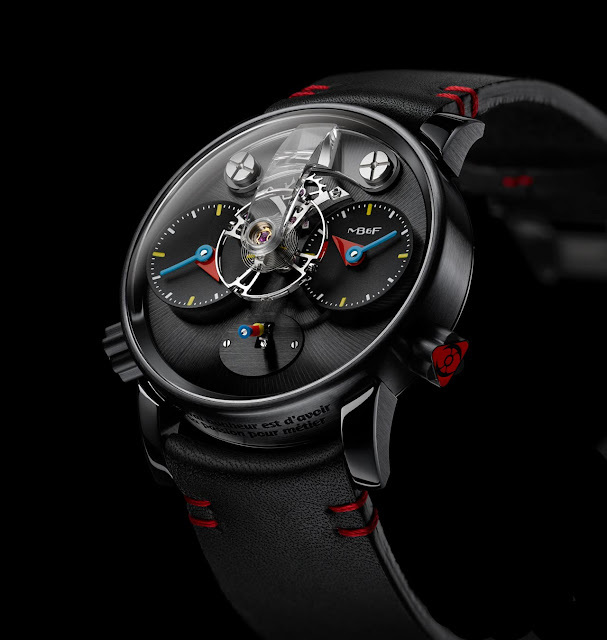 The three primary colours found on the subdials – red for the hour hand, blue for minutes, yellow for the index markers – are echoed in the three shapes (blue cone, red cube, and yellow sphere) of the three-dimensional 45-hour power reserve indicator. Silberstein replaced the dual arcing bridges of the original LM1 with a transparent sapphire crystal balance bridge designed to be almost invisible. 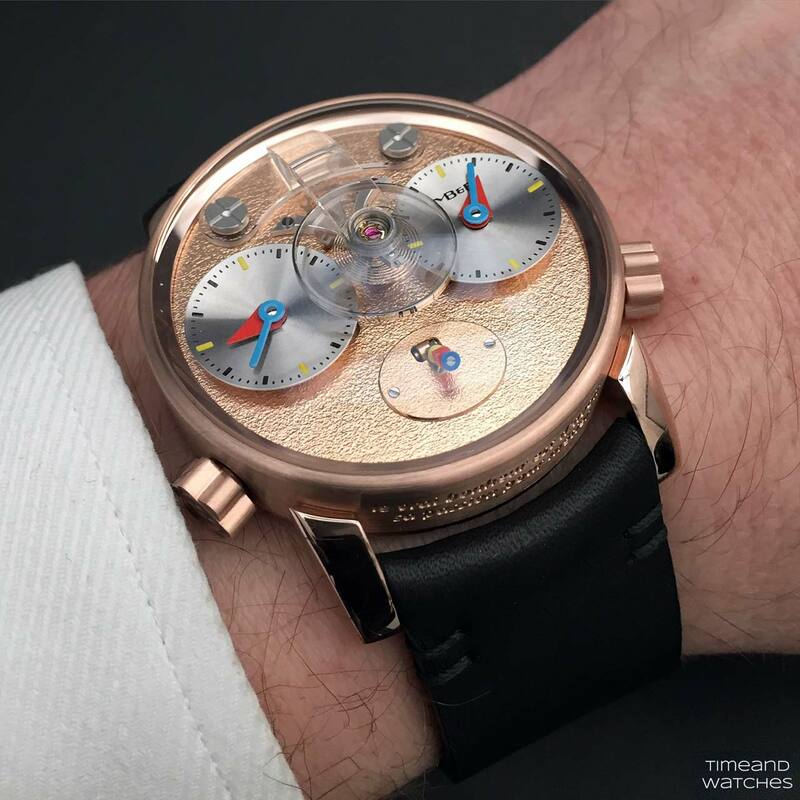 The 42.5 mm wide × 17 mm high case is engraved on the case band, between the lugs, with a quote in French from Gustave Flaubert: “Le vrai bonheur est d’avoir sa passion pour métier” which can be translated as “True happiness is having one’s passion for a profession”. The two crowns for setting the time of the two dials have distinctive six-pointed star shapes formed by overlapping two triangles make winding a tactile pleasure. 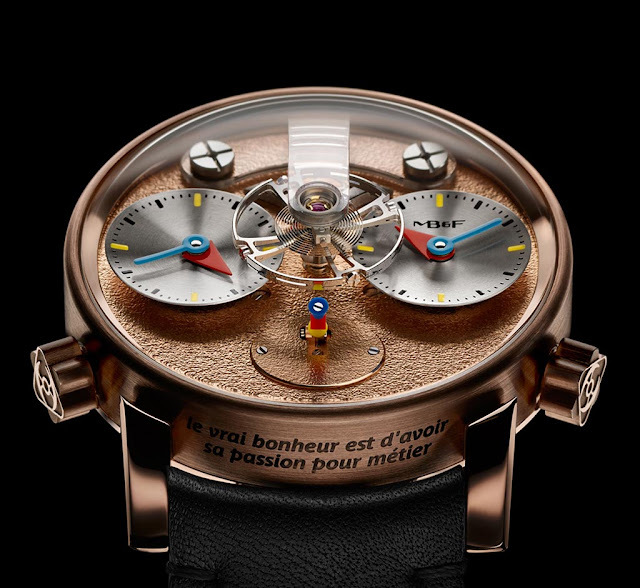 The LM1’s unique three-dimensional movement, with its 14 mm balance wheel slowly beating at 18,000 vibrations per hour above the dial, was developed for MB&F from Maximilian Büsser’s sketches by Jean-François Mojon and his team at Chronode together with independent watchmaker Kari Voutilainen, responsible for style and finishing of the movement. 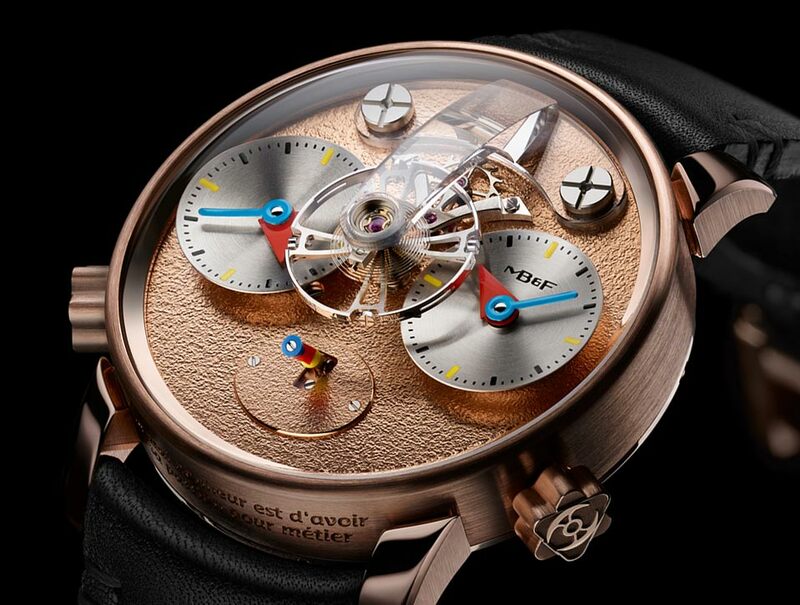 MB&F Legacy Machine N.1 Silberstein. MB&F - LM1 Silberstein. 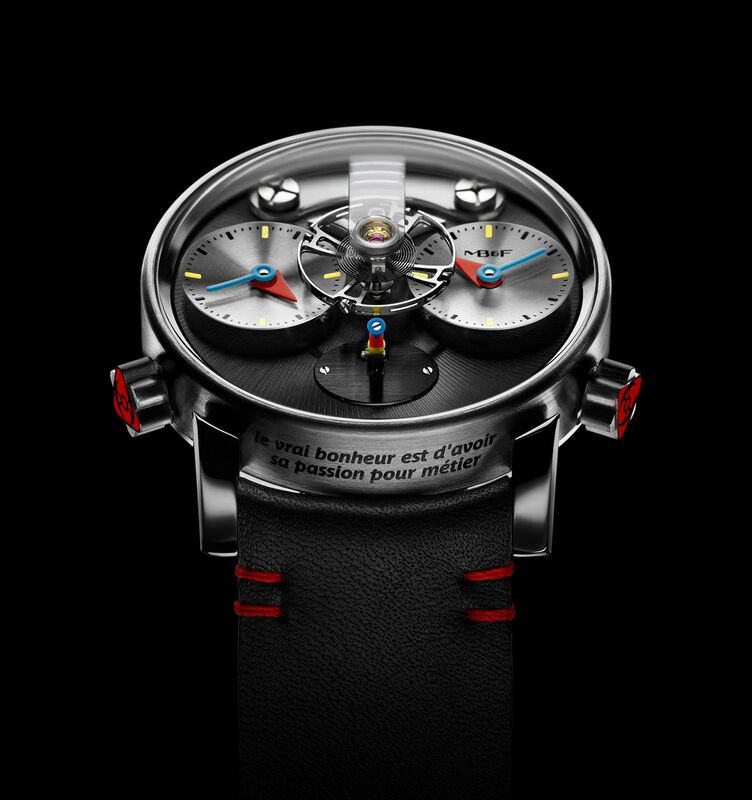 After a first in 2009 for a 'Performance Art’'reinterpretation of the Horological Machine N. 2, MB&F has called Silberstein once again to create his own interpretation of the Legacy Machine N. 1. Available in three limited editions - each one issued in 12 pieces only - in black PVD-treated titanium, titanium or red gold, the MB&F LM1 Silberstein is immediately recognisable as a Silberstein’s creation. 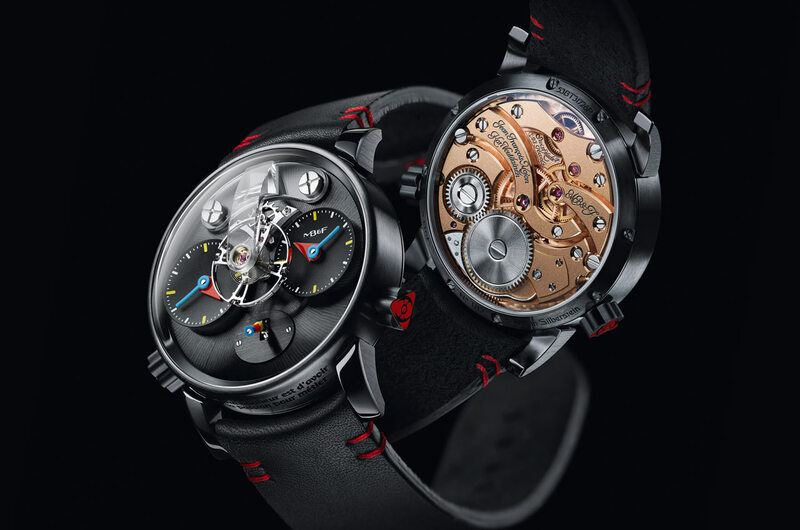 Retail prices of the MB&F Legacy Machine N.1 Silberstein will be Swiss Francs 79,000 plus local taxes for the titanium, or black PVD-treated titanium editions and Swiss Francs 88,000 plus local taxes for the red gold edition.